More and more consumers are becoming “friends” with brands, but that may not mean that there’s more interaction and interest between them. 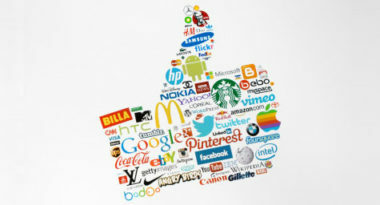 To illustrate this social media paradox, Adweek.com recently posted the following graphic created by NBCUniversal Integrated Media’s The Curve Report. It’s filled with facts and figures from the report that show the real reasons for all of this friending in the first place and may be extremely useful as a guide for brands seeking to get the most out of their social media relationships with friends and followers. It shows that brands comprise approximately 10 percent of a digital user’s online friends, yet only 39 percent of people regularly interact with those brands, and almost 30 percent hardly ever or never interact with them. The graphic also displays how consumers judge the social media effectiveness of brands, but more importantly reveals where they think a brand’s marketing could improve. From the 18 percent who say brands need to be more authentic in their social communications, to the 21 percent who believe brands must focus more on building an online community, this enlightening graphic features some surprising social commentary that could serve a brand well in its future Facebook friendships. To learn more about integrating Facebook advertising into your social media marketing strategy, contact MDG Advertising. MDG Advertising, a full-service advertising agency with offices in Boca Raton and New York, NY, is one of Florida’s top integrated marketing agencies. Our 360° approach uses just the right mix of traditional and digital marketing to reach your advertising goals. While some industries may fare better in print and others online, we strive to create a balanced approach, where traditional, social media, and digital marketing efforts support each other and your message is tailored to the medium. Our core capabilities include branding, logo design, creative, digital marketing, infographic development, integrated media plans, award-winning print ads, radio and TV advertising, online video, Web design and development, email marketing, social media marketing, and SEO. Click here to view MDG Advertising’s creative infographics.